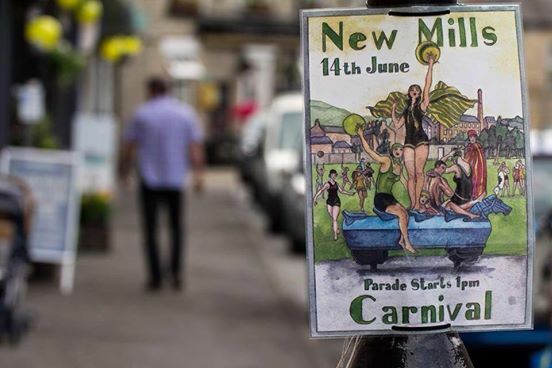 On the second Saturday of June each year New Mills comes alive to the various sounds, smells and sights of the Carnival. 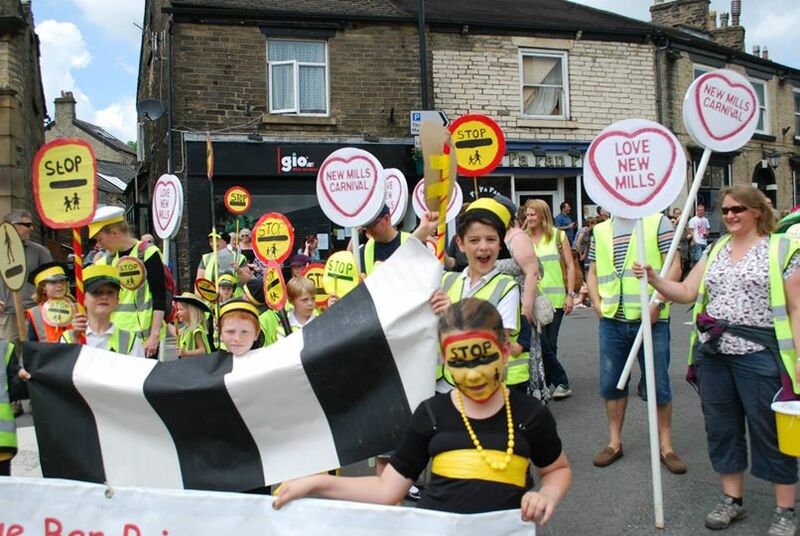 New Mills Carnival has fast become the biggest in the High Peak attracting thousands to come and watch and inspiring almost as many to take part in this all day event. With a traditional parade weaving its way through the people lined streets it takes about 40 minutes for all the bands, floats and Carnival Queens to arrive at the Recreation ground – the parade has everything from the Billarettes to bagpipes. The recreation field also hosts a fun fair, dozens of stalls and food area selling crafted beers.